Huldrych Zwingli came to Zurich in 1519 to work as a pastor, and he began to preach a whole new interpretation of the Word of God. He shared Martin Luther’s view that everything that was not mentioned in the original version of the Bible should be banned from religious life. Thus he did away with holy images, singing hymns and fasting for Lent in the churches, and spoke out against the veneration of relics, celibacy and the Eucharist. In addition, he sought to eliminate the selling of indulgences and the practice of mercenary soldiers. Affluent Switzerland Thanks to the Reformation? At first sight, this seems very strict and disagreeable, but at the same time these rules and regulations laid the foundations for the affluent Switzerland that we know today. 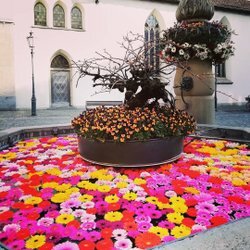 Zwingli advocated a new work ethic – diligence, discipline, thrift and frugality – and introduced a social welfare system to look after the poorest and most disadvantaged people. And while subsequently the first factories, new commercial enterprises and international trade established themselves in the Protestant areas, the Catholic cantons continued to be characterized by impoverished farming communities, which had to give their already meagre income to the all the more ostentatious Catholic churches. Nowadays, churches, monuments and guided city tours invite visitors to explore Zurich on the trail of Christianity and the Reformation. 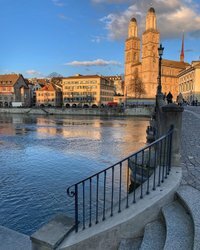 In 2019, Zurich celebrates the 500th anniversary of the Reformation. Celebrations already get underway in 2018; you can find the full program here. Zwingli was Zurich's first reformer. His theology gave rise to the Reformed Church. The Grossmünster is a landmark of Zurich. The Swiss theologian Heinrich Bullinger reinforced the Reformation in Zurich and beyond. The Fraumünster and Grossmünster churches are landmarks of Zurich. The site of the Wasserkirche church is where Zurich’s patron saints were executed. The St. Peter church in Zurich has the largest clock face in Europe. Both inside and out, the National Museum behind the Main Station is an impressive architectural gem. 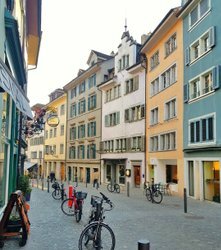 Ideas on how to experience a lot of Zurich in a very short time. For families, urban explorers, and culture enthusiasts.